Researchers infused the topological insulator with chromium (Cr) atoms making it conduct electricity on its surface and display magentism. Today’s computers and smartphones feel warm when they’re in use, because some of the electrical energy used is converted into excess heat when electrons travel. But now a team of UCLA-led researchers has made a major step forward in developing and using topological insulators, which avoid wasting heat. The researchers led by principal investigator Kang Wang, professor of electrical engineering at the UCLA Henry Samueli School of Engineering and Applied Science, demonstrated that topological insulator heterostructures, a promising new class of so-called exotic materials, could work outside near absolute-zero laboratory conditions. The research was published Oct. 31 in Nature Materials. Topological insulators are materials that conduct electricity on their surface as a conductor, but do not on their interior, which is an insulator. This special property, of being both a conductor and an insulator, has had semiconductor researchers excited for computers that operate on ultra-low power, while also being much faster and more reliable. They have been predicted for only about a decade and that work earned three scientists the 2016 Nobel Prize in Physics. 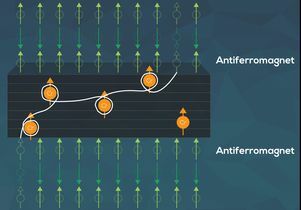 However, before they could be widely used researchers needed to demonstrate that TIs, as topological insulators are commonly known, could operate at room temperature rather than only at near absolute-zero conditions. Using topological insulators that are magnetized could dramatically improve the energy efficiency and operating speed of computers. There are two ways to do this. One way infuses magnetic materials into the TI. The other stacks thin layers of alternating magnetic materials between the insulators. Both methods can magnetize the TIs, but both also can disrupt the insulator’s desirable properties if the magnetism of these magnetic materials is too strong. Additionally, these two methods can work only in temperatures near absolute zero. Instead of stacking alternating layers, the UCLA-led team uses an “antiferromagnetic material” in conjunction with TI. In effect the material’s overall magnetism is cancelled out, however one atomic layer is still magnetic at the interface. This type of magnetic structure can be exploited for data storage because of its stability and robustness. These are the properties that the researchers looked to exploit. 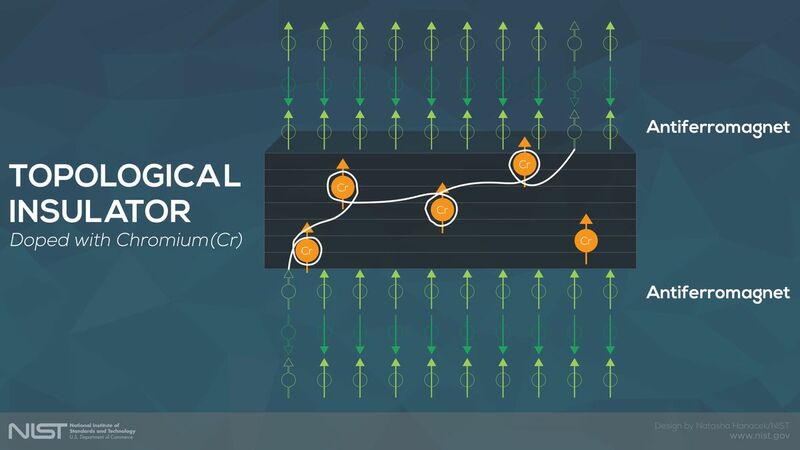 “Using antiferromagnetic materials with topological insulators provides a new avenue to bring the latter material into applications in addition to exploring new physics,” Wang said. 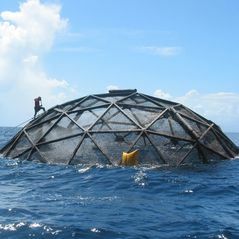 Collaborators on the study include researchers at the National Institutes of Standards and Technology, in Gaithersburg, Maryland, Stanford University, and the Beijing University of Technology. Additionally, when TIs conduct electricity, all of the electrons flowing in one direction have the same spin direction, a particularly useful property that could be used in quantum computers without dissipation. The research received its primary funding from the Army Research Office. 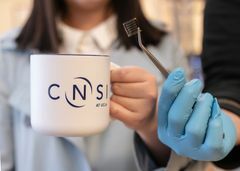 It was also supported by the Department of Energy, the National Science Foundation and by the Focus Center on Function Accelerated nanoMaterial Engineering, a research center based at UCLA Engineering and funded by the Defense Advanced Research Projects Agency and the Semiconductor Research Corporation.